IN PREPARATION for the 400th anniversary of the birth of America, the Jamestown-Yorktown Foundation desired a master plan to replace the existing 1957 buildings with a new, larger visitor center, and a museum and education center. The master plan envisioned five phases to conceive each new building on the approximate sites of the originals. 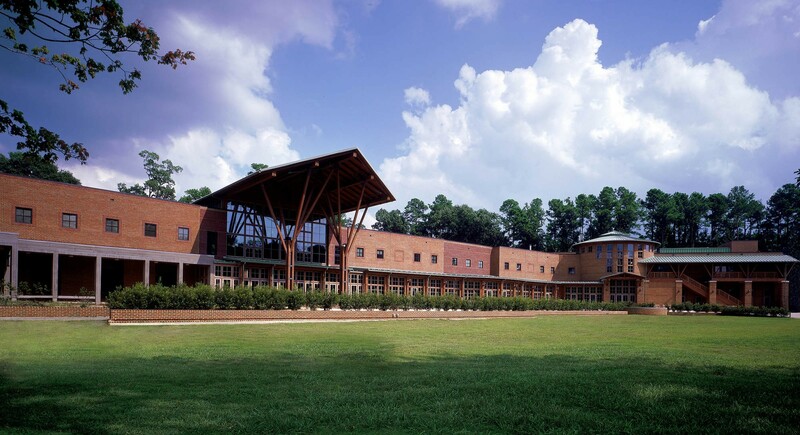 In 1998, Glavé & Holmes Architecture (G&HA) was selected to design the Jamestown Visitor Center. 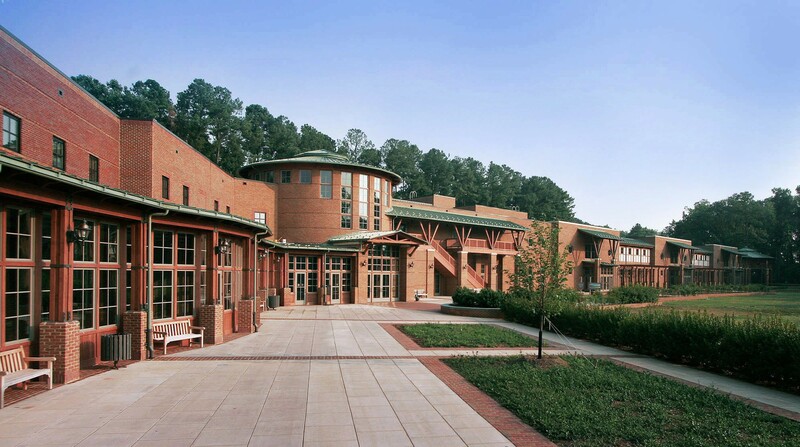 The Visitor Center serves as a gateway and orientation center for the Jamestown Festival Park. The design sets up a logical circulation system, creating a strong link with the future buildings. 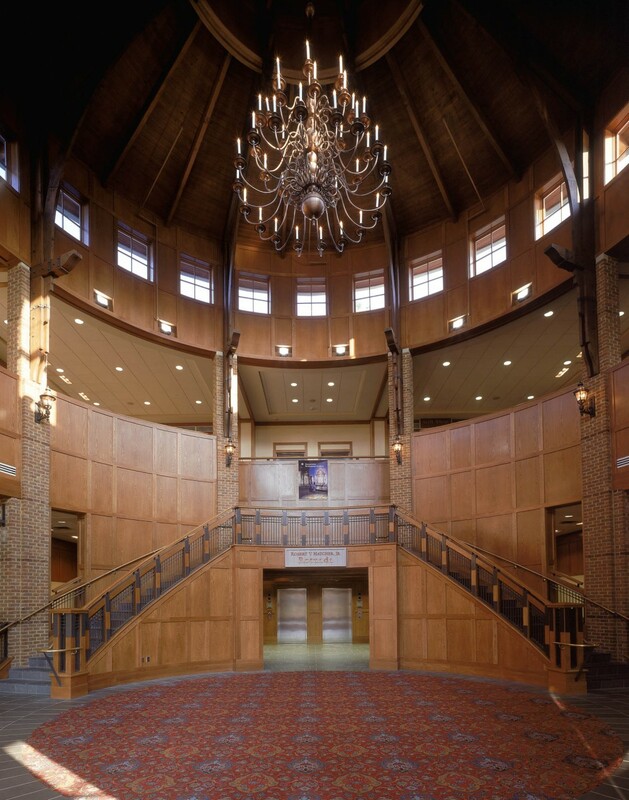 The 32,000-square-foot facility includes administrative space, ticket and orientation areas, a café, and a gift shop organized around a central lobby with a dramatic, two-story wood and glass entry pavilion. Subsequently, in 1999, G&HA designed the Theater, Exhibition Hall, and Galleries. 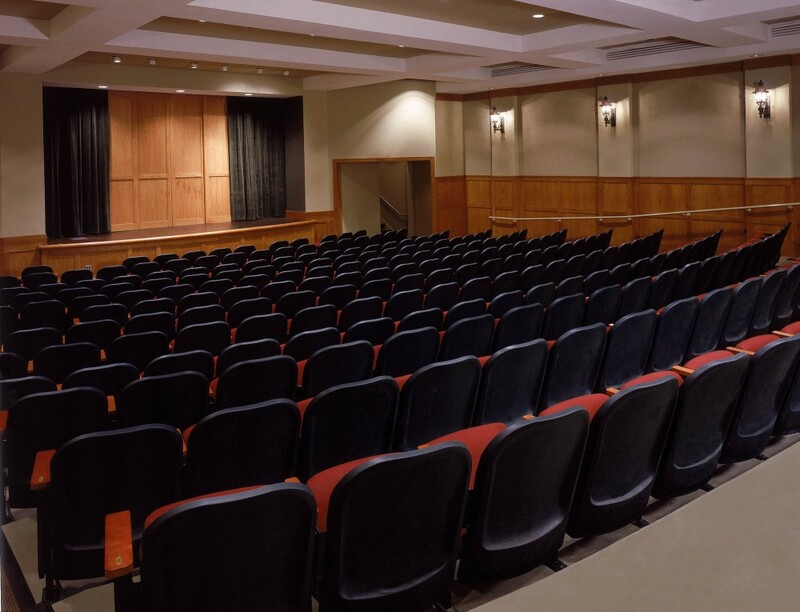 The ground floor includes a 250-seat auditorium while the second floor, accessed from a grand stair within the rotunda, houses the museum’s exhibition galleries and a 100-seat multimedia room. Museum support spaces exist on both floors. G&HA also designed space to house 30,000 square feet of permanent collection galleries. The organizing concept for this building is a series of linear connected halls called the “super highway.” These spaces make it easy for museum patrons to reorient themselves as they move through the galleries. The structure features pavilions with connecting, slope-roofed halls. 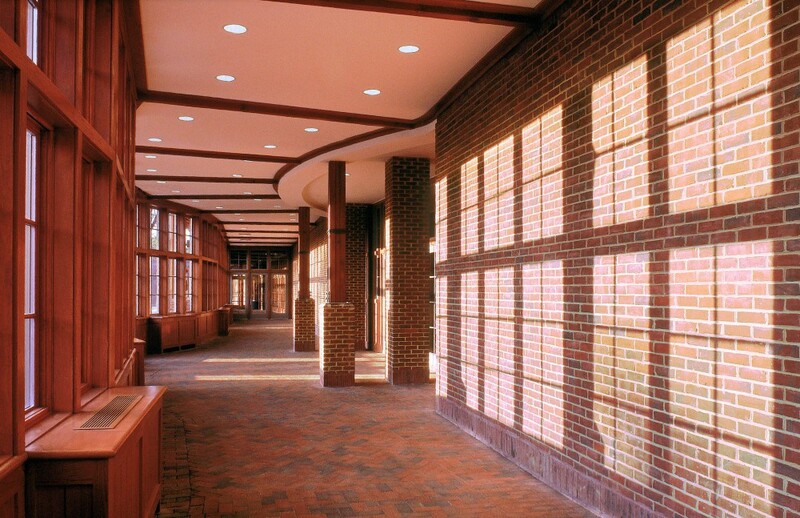 Each pavilion utilizes a diaper pattern brick to reinforce a reference to Jacobean architecture. 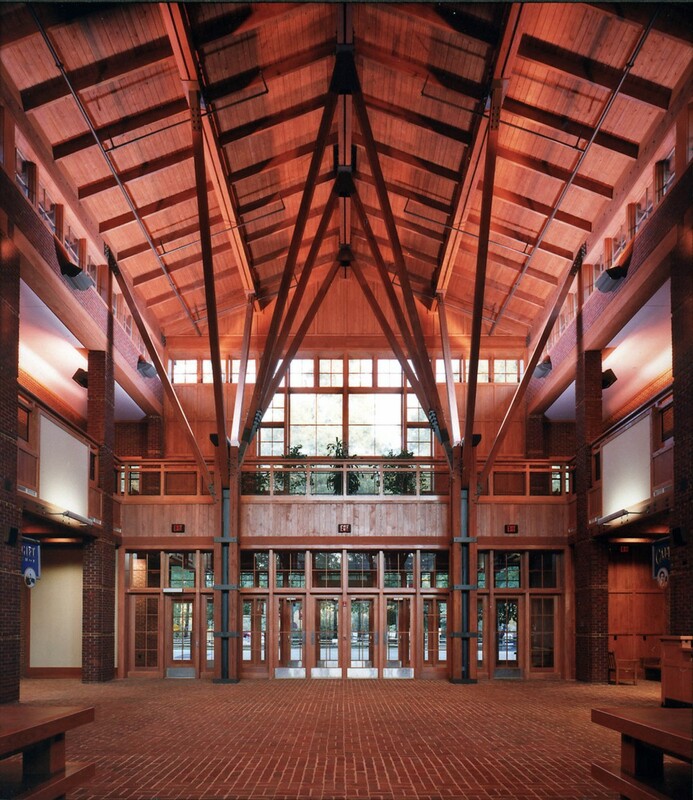 Wood supported canopies over the doorways relate to the wood structure of the Visitor’s Center. Outdoor terracing and landscaping provide visitors ample vantage points from which to view the historic meadow and tower preserved from the 1957 development.